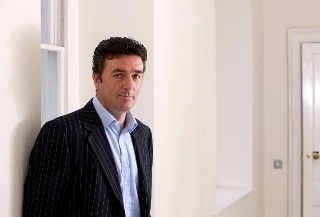 Conor Hoey is a co-founder and the Chief Sales Officer of Fusion HR. He brings more than 15 years senior management experience to the role. The lion’s share of this time was spent in the private laboratory and corporate healthcare sectors. Here, he managed and developed business opportunities through international collaborations and partnerships. Later, the working knowledge he acquired during that period led to the creation of Lablink - a successful private healthcare company which was subsequently acquired in 2008. Conor’s role at Fusion HR means he is often first to meet client’s and learn about the challenges they face. As a former Irish cricket international he is no stranger to being first in to bat, but firmly believes the best sales people tend to be instinctive listeners rather than fast talkers. Or fast bowlers. Sport has always been centre stage in Conor’s life. He picked up 42 caps representing Ireland in Cricket and captained the Trinity College and Irish Schools sides. He also captained the Old Wesley 1st XV rugby side back in the mid 1990’s. These days, Conor is more likely to be found working on his elusive short game at Portmarnock or Lahinch golf clubs.